Exploratory innovative music performance as part of Vivid Sydney 2013. The Seymour’s New Wave: Sound program is a two day intensive program featuring emerging and established music artists showcasing their most innovative work. A forum of leading music curators and creators asking the question “what’s hot?” kicks off the program and sets the tone for a weekend of sonic exploration, from electronic contemporary classical to poly-stylistic fusions and improvisations. 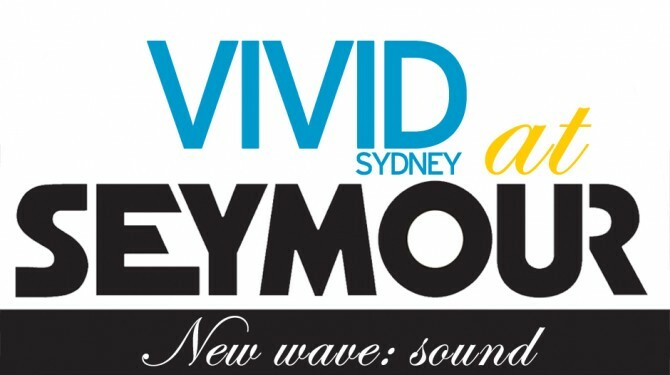 Seymour’s intimate Sound Lounge will feature non-stop performances from midday to 11pm on Saturday 8th June, presenting acts such as The Noise, Infinity room, Frostbyte and Collarbones. New waves of music emanate from here. Curated by Andrew Batt-Rawden, Chronology Arts. Friday 7 June: New Wave: Sound – What’s Hot? A forum of leading curators and presenters discuss which artists they enjoy at the moment, and why! Please email ISEA2013 ([email protected]) for PROMO code.